He Vants to Eat Bananas! Some of you may remember Banana Tail, an illustrated children’s book created by animator Mark McKenna. It told the story of Banana Tail, a poor young brown monkey born with a shiny yellow tail. He feels like an outcast among his troupe, until he finds two equally unusual friends: Reena the pink rhinoceros and Tic Tac the checkerboard zebra. 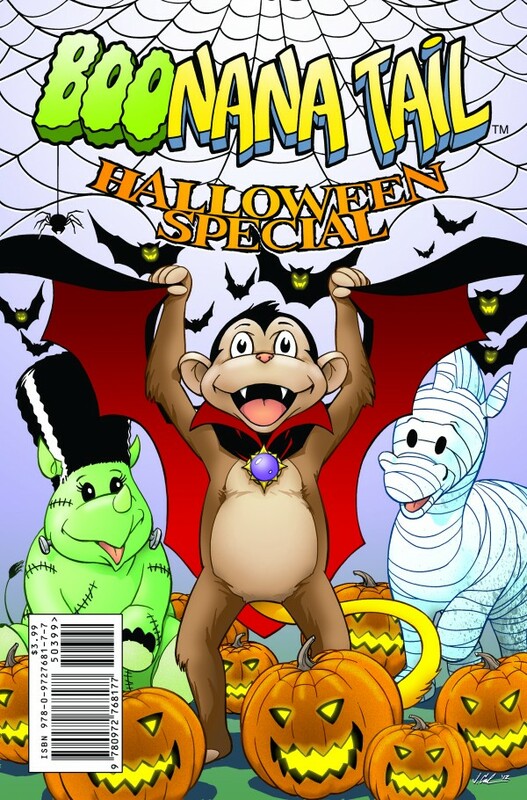 Well now Mark McKenna, Jim Calafiore, and several artistic friends bring us The Boonanna Tail Halloween Special, a one-shot full-color comic with Banana Tail and his friends celebrating the season in high style. Find out more about it at Bleeding Cool. 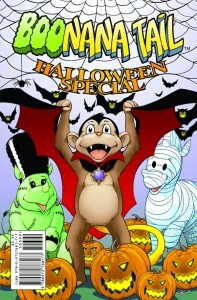 Of course it comes out in October, with several variant covers available.